Something Spock might’ve knocked up in his first year at the Vulcan Science Academy. That’s what I think when I look at this graphic. Now. Two years after myself and Laura Sullivan created it for my infographic book Information Is Beautiful (US | UK). It’s been updated and regraphicked. 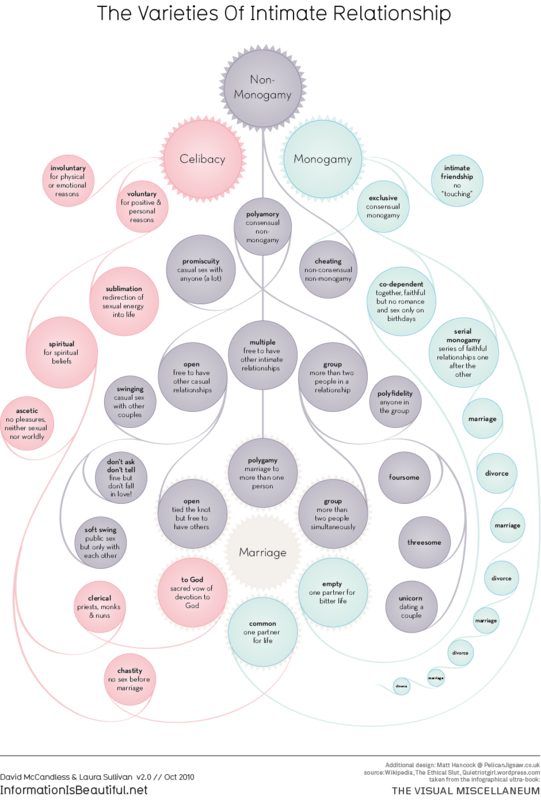 I’ve folded in some new types of relationships from this awesome diagram from Franklin Veaux (via QuietRiotGirl). Sexperts! Let us know if we’ve missed anything.